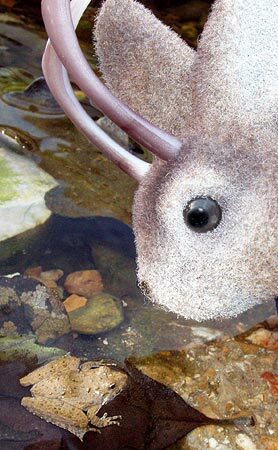 The Lope: First Day of Spring? 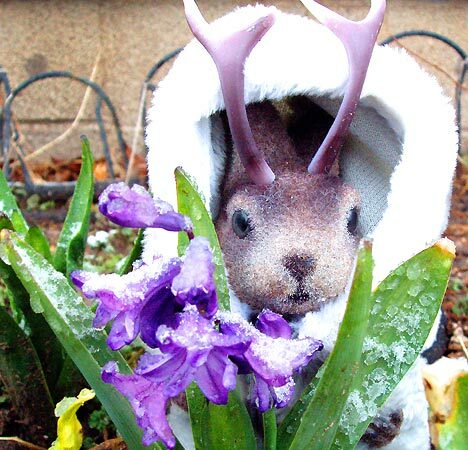 Ace Jackalope inspects flowers for damage on the first full day of Spring. The afore-mentioned Spring drizzled in yesterday with the vernal equinox at 12:26 PM central standard time. We are fond of the sunrise and the sunset but saw neither yesterday, as the sun in our corner of the realm was obscured by sleet in the morning and chilly rain at night; it even snowed twice during the day...or during the night, to be totally accurate. 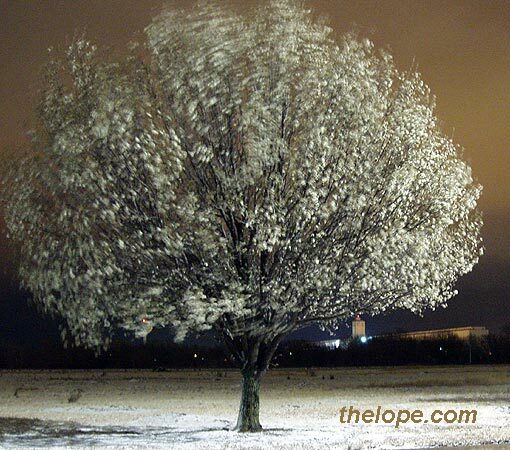 I did not have a sunrise today on the 21st either, the first actual sunrise of Spring, but I'll be happy with the snow encrusted blooms of a Bradford pear tree waving in the icy wind as the sun lies in wait behind a grain elevator to appear in its own good time. I wonder, what did the ancients do when sunrise and sunset were not visible on key days? Was it a bad omen or did they just shrug it off with a sigh as we do? It may have really sucked to have adorned one's self in ceremonial garb, only to turn to the crowd and announce that they can go home - that the sun had done its thing but let none of them in on the show. Oh, by the way, remember the winter frog We saw on January 29 when it was 60 degrees? I'm just glad there we haven't screwed with the environment, aren't you?